Converting to the uni tronic™ 600 and other Next Generation systems has been made more efficient with software upgrades ensuring no current hardware is obsolete. 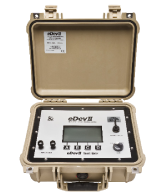 The Test Box offers inherently safe testing, by communicating with and testing the eDev™ II detonators at the face after the scanning process. 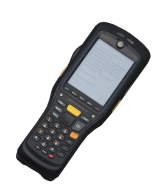 A barcode scanner that reads unique ID numbers on the detonator flag tags, and downloads the detlist via Bluetooth® to the Test Box and later to the Blast Box. 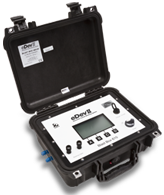 Scanner 125, in use with eDev™ detonators, can be upgraded to eDev™ II by a firmware change. Accurate and fully programmable electronic detonator. Faster and easier to use, the duplex wire connects detonators with the Blast Box. Designed for at-face efficiency, the new connector carries signals between the detonator and the harness wire. Orica's SHOTPlus™ Blast Design Software produces printed blast plans, useful at the face with the eDev™ II system. 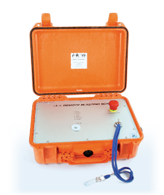 The i-kon™ CEBS (Centralised Electronic Blasting System) allows underground mining operations to initiate eDev™ II and i-kon™ electronic detonator blasts remotely, from a convenient and safe control point usually on the surface.